so many details here that are wearable right now, and she puts them all together so well… leather jacket, fingerless gloves, legging, boots, cowl sweater. she looks warm AND stylish. perfect. 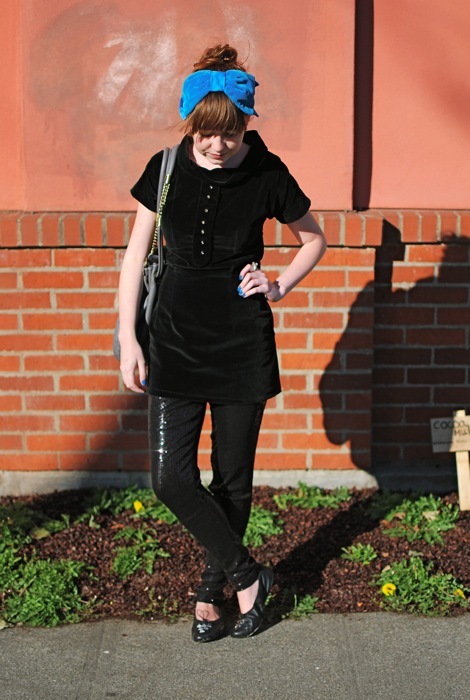 also posted to the P-I edition – our new weekly, wednesday street style feature! love the gold handbag (vintage?) and big chunky earring. also love the combo of the high wasted longer skirt with the lace legging. she put her own twist on the look and it looks just right. One of my favorites – possibly because I could never have the guts for this getup – OR because she had the most polite, fragile personality. Exactly why we must never judge a book by its cover. Dissect her whole look and you’ll see a lot going on; but all together, and it meshes quite well. Her TALL boots, oversized bag, three-layered top and assortment of accessories must have doubled the weight of her 5’1’’ stature…haha. Cristiana. Packed a punch with her florescent hair. Leather and candy. That’s the combo going on here. Only a select few can pull off one single material head to toe – not to mention that material being Leather – but this gal did it and definitely got my attention. 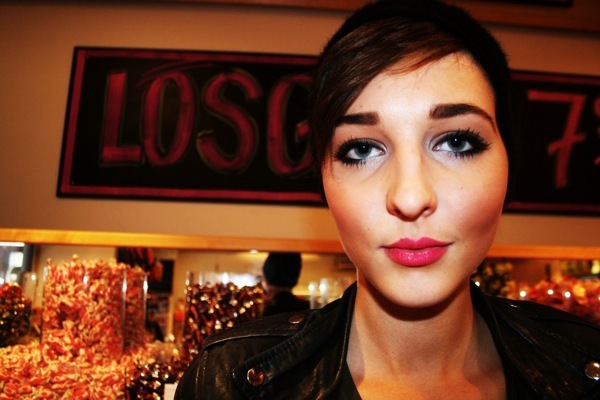 The harsh material, pixie cut, and dark colors, combated by her feminine makeup and bright red lips create a great balance and keep her from looking like a biker babe. Turns out she writes a local fashion blog and was all too eager to take a few fun shots in the candy aisle. Rough yet angelic demeanor. Angelica. we had a mini, test-run blogger meet up this sunday. we went to theo chocolates in fremont. where they basically talk a lot, and give you chocolate to keep you interested. rebecca hails from the clothes horse… her blue bow was so lovely (and it matches her nail polish! ).